Darcor Casters & Wheels has been in the caster business for more than 85 years. In that time, we’ve built a reputation as a leader in the industry through our commitment to excellence and exceptional technologies. The team at Darcor takes an active role in education around caster technologies and workplace ergonomics. As a result, we are often asked many questions about casters. 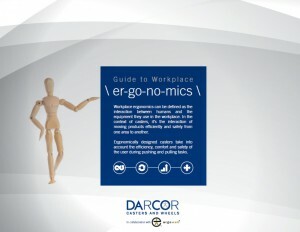 The Darcor team recently presented a ErgoExpo Webinar and we got some great questions. Q: What are the most desirable caster traits for cold environments? A: While it is important to consider all your conditions at once, the most important trait a cold environment caster can have is it resistance to compression set or “flat-spotting”. Flat-spotting is when the combination of temperature and load cause a deformation in the wheels shape causing the contact area to freeze flat, thus making it significantly harder to roll. At Darcor, no material has the cold temperature performance of our Solid Elastomer (SE™) casters which can operate from -40°C to 110°C (-40°F to 230°F). A few other materials might be able to rebound their shape once returned to ambient temperature for some time; however, the SE™ material never loses it shape, making it optimally ergonomic to push right out of the freezer. Q: What are the best caster options for carts that are getting washed (wet) regularly i.e. food service carts? A: For any heavily washed carts used in the food and beverage industries, we always recommend going for high chrome or stainless steel finishes. You also want to be sure that the bearing race on the swivel casters is sealed. If the washing is regular and with pressurized water, we also recommend using Delrin bushing instead of traditional sealed bearings as they might let water in over time. All of these traits are available on our Cart Washable™ line of casters. 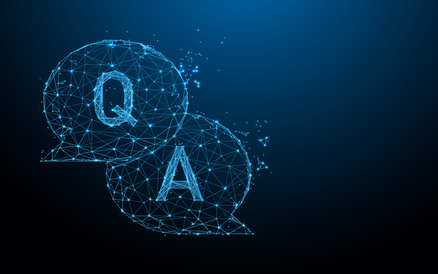 Q: For swivel locking casters and systems, are there detents to force the direction locking to be only in the cardinal directions or will they lock in any direction? A: Darcor casters are limited to a 2 slot (detents) configuration at 180 degrees, so it will only lock the wheel in parallel with the cart motion. Q: Must the cart first be pushed in a straight path to align wheels and then lock them? A: Technically speaking, the pedal can by pushed prior to aligning the wheels; however, the caster would not lock until it settles at the detent. Our recommended best practice would be to push the cart forward to align the casters appropriately and then engage the system so there is a guarantee of lock engagement. Q: Is the direction locking system only for certain casters? A: This system is currently only available on Darcor’s Kingpinless casters. The direction locking system makes it easier to lock and unlock and has the potential to influence operators to use carts in a more optimal way. The team at Darcor believes in creating these types of solutions in order to make operators lives easier and safer. Q: What would you recommend for a preventative maintenance schedule for casters? Daily: Passive visual inspection by operators – Should be done once per day or at the start of each shift. This inspection is purely to asses that the cart is still in good working order and safe to use. This is meant to catch any obvious damage or debris that might be affecting the performance. Annual: Inspection of cart by maintenance department – This annual inspection should be more thorough and be done with the casters unweighted, if possible. This is a good time to check that all the bolts are still tight. An inspection should also be done to ensure the wheel/caster/swivel bearings are still rolling smoothly. Casters or axles with grease fittings should be re-lubricated at this point, if applicable. 3-5 years: Ergonomic testing by maintenance, safety, or ergonomist – For higher quality casters, the re-testing can be done in 5 years but should be performed more frequently for new/untested casters. The goal (fail criteria) for this test should be set at the time of purchase or initial evaluation. If possible, number your carts and test the same cart as you did on day one to see the difference over time. Q: In what conditions would it be recommended to use 6 casters (fixed in middle and swivel on ends)? What are the force implications? A: At Darcor, we always try to recommend having only 4 casters mounted in all 4 corners in manual material handling cart tasks for more intuitive maneuverability and consistent loading on the wheels. The reason we do not recommend the 6 casters approach is that the middle (fixed) casters tend to be elevated to maintain contact with the ground, which in turn causes a see-saw effect between the casters on the far sides. So, in effect, this means that only one set of swivels are contacting the ground (4 out of 6 wheels), which defeats the purpose of distributing the load evenly across the casters. If the loading is uneven, the issue compounds. For example, if the weight was placed at the far end of the cart form the operator, they would then need to utilize the swivels at the far side (no longer in the power zone) and this could raise forces significantly for turning, especially on longer carts. The only reason someone might implement this strategy on a manually pushed cart, is if they need to pivot the cart about its center. To avoid the need to use 6 casters to achieve this we have developed the patented Zephyr system to allow you to have the 4 swivels on the outside for turning about the cart center but still being able to lock them out on demand for superior handling. Q: Is it better to have 4 rotating casters on the corners of a cart versus 2 fixed and 2 rotating? A: The Darcor team almost always recommends having 2 fixed and 2 swivel casters, when possible, as this provides the best balance of control and steerability especially at heavier loads. The only time it is worth introducing a cart with 4 swivel casters is if there is a task the requires the cart to be positioned in a specific area/ orientation. i.e. the cart needs to be pushed sideways into a workstation. The only other time this is worth considering is if the load is light and the cart will need to be repositioned very frequently. i.e. a lot of medical equipment has multiple swivels so that It can be easily moved and maneuvered around the patient or bed. Q: How do the double or triple wheel casters affect the forces to push a cart? 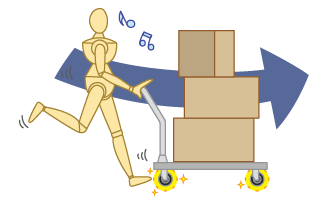 A: Double and triple wheels on a caster, all other conditions remaining the same, will result in a reduction of the mobility forces required to move the cart. The biggest impact is on the swivel forces; these forces can be reduced significantly and are typically the highest force experienced by an operator. Multi-wheel casters also have a substantial impact on the starting force; however, the roll or sustained push force only experiences a slight improvement. Q: What caster material would be best for hotel/hospitality industry? A: Of Darcor’s product materials, no material has the versatile performance of Neoprene, making it perfect for the many environments in the hospitality industry. Neoprene is good on a variety of surfaces and will outperform most materials on carpet making it ideal for service and linen carts. It is also perfect for kitchens and food and beverage areas because the casters are resistant to oil and chemicals while providing great grip. Lastly, Neoprene is non-marking, which makes it great for cleaning carts. Q: What do you recommend for electrostatic discharge (ESD)? A: At Darcor, we do not carry a line of products that claims to have electrostatic discharge (ESD) properties. We have investigated this and discovered that even after creating wheels with ESD capable materials, we could only ensure that claim fresh out of the box as we could not control environmental conditions at the end user. With time, all wheels deteriorate and get coated in dust and other contaminants that might hinder its ESD capability, which would present no warning to the user thinking their wheels are still safe. So, even though some companies may produce ESD capable wheels, they are not a fool proof solution.  We always recommend that our customers using sensitive electronic equipment ground out directly from the cart using an ESD grounding strip or chain and focus on choosing the best wheels based on their ergonomic needs and environmental conditions instead. Q: At the ErgoExpo webinar, someone had a question about cart height: We sometimes find the cart heights are too tall and obstruct the view of users pushing from behind. If they try to pull from the front, it causes an outstretched awkward posture. Are there any strategies/accessories to push from the side of the cart? A: These types of carts that present visibility challenges are generally used for linens and in in hospital environments. To make the task ergonomic and/or practical, there would need to be a rigid handle mounted perpendicular to the side of the cart for the operators to push on. However, that would create a moment around the CG (center of gravity) of the cart. If you push from the side, the operator would constantly have to steer the cart to keep it on track. The push effort would also be greater, as it would be the resultant of an X and a Y force, where the X force is parallel to the desired line of travel. This also introduces 2 new safety issues: the protruding handle is a safety risk not only to the operator but also to people passing by this cart and will also stick out when not in use or pushed against a wall, which might obstruct a walkway. The second is that pushing from the side does not eliminate the visibility issue as now the operators blind spot is even larger as they cannot see hazards or people approaching from the opposite side they are pushing from. The first possible solution, without changing the cart, would be to have a spotter lead the operator and cart by looking for obstacles while the operator focuses on pushing the cart from the back. The additional personnel (the spotter) might not be practical, but it will make the movement of this cart safer for both the operator and those around them. The second potential solution would be for someone from the Darcor to come in and asses how hard it is to push the cart and make some caster selection recommendations.  While this doesn’t help your visibility issue, if the cart currently requires a lot of exertion, the operator will have a hard time controlling or maneuvering the carts which is likely what is causing the “outstretched awkward postures”. If we can reduce these forces, the operator’s task might become significantly easier; they may be able to “guide” the cart as opposed to pushing it with excess force. This would allow the operation to possibly become safe enough to be a pull task without the repeated strain from the high load. Q: Another great question from the ErgoExpo webinar: I have many people complain about having swivels on the wheels closest to the operator. They are accustomed to the shopping cart technology. Do you have any recommendations on how to better educate operators on why swivels casters in the back are best? Have you ever pushed an overloaded shopping cart or maybe one with all the weight over the front? It becomes incredibly hard, not only to push, but mainly to turn around the isles. Now, keep in mind turning forces are always the highest ones, so even though you may think the cart is more intuitive while empty, you might be exerting several times more force in turning with the swivel casters on the far side. Think about how much you have to strain your wrists to force that heavy shopping cart around and how much more it would be if it was an industrial cart with 2000lbs of load. If doing a live demo and a cart is available, I encourage volunteers to try turning the cart 90deg on the spot from both ends to experience it themselves. If doing a live demo is not an option, encourage them to try it the next time they are out shopping: Place a heavy object (like dog food) at the very front of the cart and ask them to try just turning the cart from either end, while paying attention to their effort. This may not be intuitive at first but it will change the way you maneuver the cart. It will have a great benefit in the workplace and will ultimately lower the likelihood of injuries to cart operators. One last note: the swivels closest to the operator allow for higher maneuverability and tighter turns. This can relate back to the shopping cart as well. If you were to try to attempt a slalom course with a shopping cart, you would have to make very wide turns or be forced to scrub (drift) the fixed wheels. If attempted from the other end, it would be much easier to make the tight turns. Q: Since we have workers of varying heights pushing carts, how do you determine the best height? Do you design ladder style handles to accommodate different waist heights? Ladder style handles are a great option addressing multiple heights at once, but you can go one step further and move to long vertical handles, if possible. The advantage of the long vertical handles is that there are no set heights for operators to engage the cart and they can work within their personal needs. The added benefit of vertical handles is keeping the wrists upright, which is a more natural position and prevents strain. If it is possible to influence cart design, and if space/size is a concern, having an adjustable handle might be a good solution. However, if it is not intuitive, the operators might not take the time to make the adjustment prior to using the equipment, which defeats the purpose.  Darcor published a great article about cart design and handle placement that focuses on this topic: Industrial Ergonomic Best Practices in Cart Design. Q: How do you get consistent measurements of push/pull forces? How are you measuring the push force to start a cart? A: For testing purposes, Darcor has a custom testing machine in-house. The machine tows a configurable cart at a set acceleration, speed, and duration. This is how we ensure consistency and repeatability in our results. However, this is a highly controlled lab environment that produces specific test conditions which might not represent all environments. Push/pull forces can also be measure with hand-held force measurement gauges. The Darcor team uses these to conduct tests simulating real world conditions; however, these tend to have a greater standard deviation as there are fewer controlled parameters. These types of tools are the best way for professionals to do assessments on carts. How Reliable is Your Measurement of Forces to Maneuver Carts? If you are interested in creating force measurement protocols for your sites let me know more about your MMH environments, and objectives and we can provide some more information. If you have any questions about caster, reach out to us or leave a comment below. No question is too specific – in fact, those are the questions that we specialize in!  If you want to learn more about designing better carts with the right casters to reduce the push/pull workplace injuries risks, download the Guide to Workplace Ergonomics. Rigid Caster, Rig made of pressed steel, bright zinc finish, Top Plate mounting. Solid Elastomer wheel tread, Precision Ball bearing. Swivel Caster with Option, Top Plate mounting. Solid Elastomer wheel tread, Precision Ball bearing.